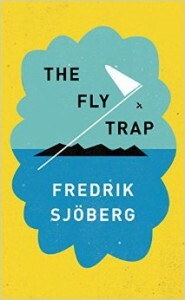 Based on the extraordinary biography of the Swede René Malaise, the man who invented the fly trap, the literary critic Fredrik Sjöberg has written a novel about Life. It’s a joy to read, though in its abundance, it is difficult to summarize. The most important question is introduced on page two: What am I doing here, and why? With curious mind, the author explores the life of René Malaise, who travelled to Kamtschatka, Burma and other exotic places. Sjöberg investigates his own passion for catching and collecting flies and tells us a story about a tumbled-down house, which he almost bought because Elias Tegner had used the privy there. In an entertaining way, he tells us about D.H. Lawrence and illuminates human existence. Translation rights sold to Germany, France/Canada, Spain, Italy, Norway, Netherlands, GB and USA. The author: Fredrik Sjöberg was born in Västervik in 1958. He works as critic, author, translator and a columnist for Svenska Dagbladet and lives with his family on an island outside Stockholm. He published The Art of Running Away, How The Burnt-Out Executioner Found The Luck and What shall will do the nature.